The said supplementary examinations had been carried out by the GSEB board for all those aspirants who had not qualified in the HSC examinations which were held in the month of March/April 2016. The supply exam had been conducted at the beginning of July, and the exam was given by thousands of aspirants. They had been waiting for the results which were finally going to be declared today within few hours. Hence the aspirants can check their results from the official portal of the board and are advised to apply for revaluation if they are not satisfied with the marks. Thousands of aspirants have written the examination and the candidates had been now waiting for the declaration of result. Now the wait of the candidates has come to an end as the results are going to be out in few hours. 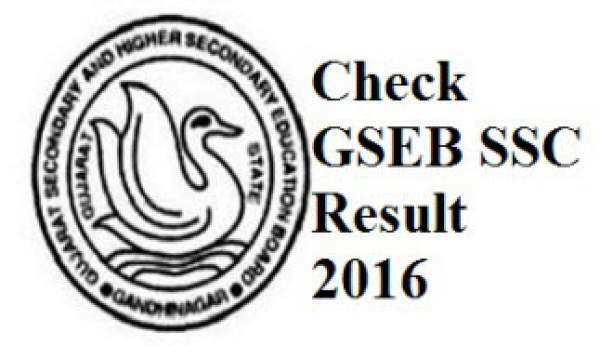 The results can be checked from the official website of the Gujarat Secondary and Higher Education Board i.e. www.gseb.org. The students who qualify the 12th class will have so many opportunities available to them as per their stream into various fields, and they can choose amongst any of these areas based upon their stream. In each of the streams i.e. Arts, Commerce, Science, and Medical, there are tremendous opportunities in front of the candidates who are determined to make a brighter and successful career. Also if any of aspirants go on getting backlog into one or two subjects, then they can immediately fill up their forms for upcoming Supplementary Examination, and they can appear for it to qualify into remaining subjects.  To check the result, the candidates need to visit the Gujarat board’s official site.  The official site is www.gseb.org, which aspirants need to access.  After logging to the website, it will direct you to the homepage.  Search for the direct link to check the HSC Supplementary Results 2016.  Click on that link and enter all the asked details like the Roll Number, Date of Birth, etc.  Then click on the ‘Submit’ Button.  It will display the Result on the screen and candidates can check it as well as get a printout of the same for future purposes.  For more details, keep visiting the official site.